Passenger Seat Cover, (GRP), MSX125 Grom. 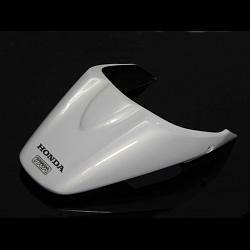 This is the GRP version of our MSX125 passenger seat cowling in white as shown in the photos. Easy installation, with mounting hardware and trim supplied, this stylish cover will clean up the lines of your bike and make your bike stand out from the crowd. This seat cowling is also available as BPCX-7128 in carbon fibre. See website for more details.